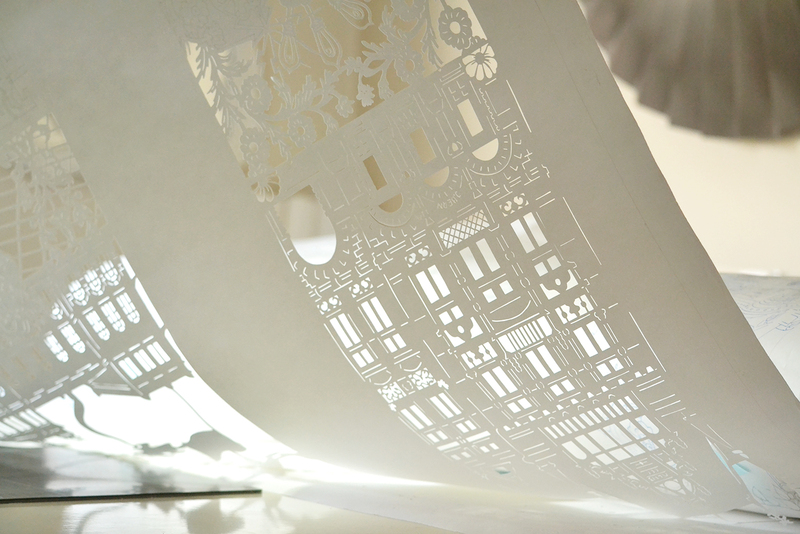 The Swedish illustrator and paper artist Petra Staav will attend Arctic Design Week through a creative momentum project. 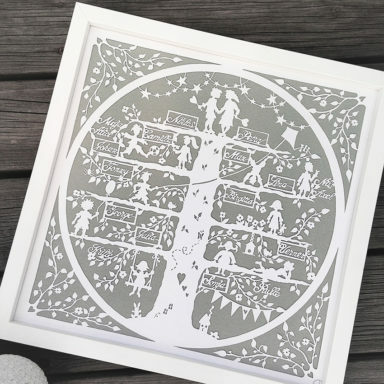 With a paper scalpel and tons of patience, Petra cuts out patterns in paper. She sketches the motives on the back of the paper first, and then cuts them out with the scalpel: “When I’m done, I turn the paper around and get the front clean from sketch marks. 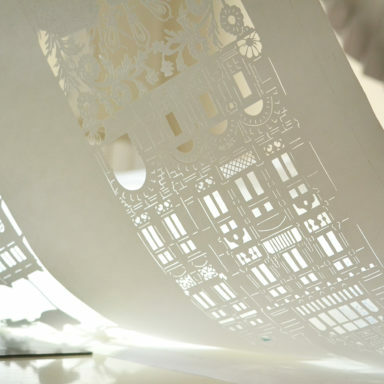 The Paper can also be assembled in layers as a diorama or a lightbox, with beautiful shadows”. Petra’s studio is near her home in Sundsvall. Here she also teaches paper cutting techniques to various people, young and a little older. Many have taken part in her classes: “It is a pleasure for me to inspire others to be creative”, she says. “I want to participate in Artic Design Week to gain more knowledge of how the arts can contribute to a sustainable society, in which everyone is a participant”. Petra thinks that Arctic Design Week can give her inspiration, as she can learn from other countries’ traditions in crafts. She will also get the opportunity to see if her way of expressing works with a wider audience from abroad. 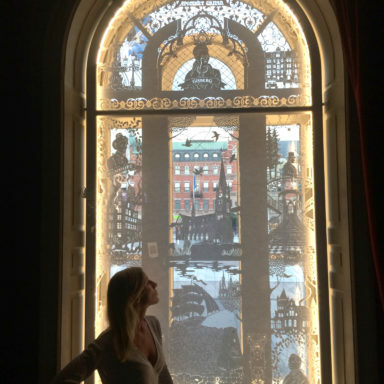 Petra finds a lot of inspiration in old Swedish folklore and also in the city she lives in. Sundsvall is close to the Baltic Sea and surrounded by mountains and beautiful nature. There are many amazingly decorated stone houses in the city centre – they built after the Great Fire in 1888. Before Christmas, Petra cooperated with an advertising agency to made a video for a big amusement park in Gothenburg. One can spot Petra’s paper art many times in the video. 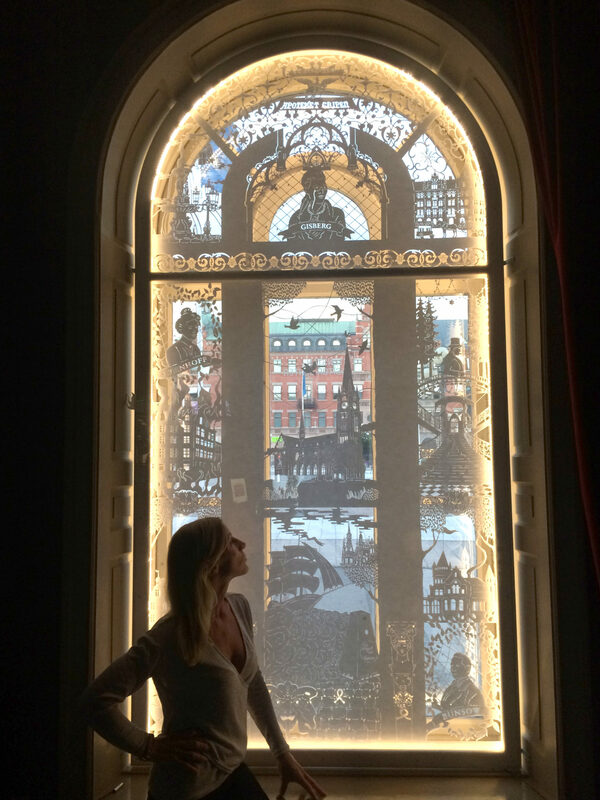 “My art is not common in Sweden, even though paper art has been around almost as long as paper itself. 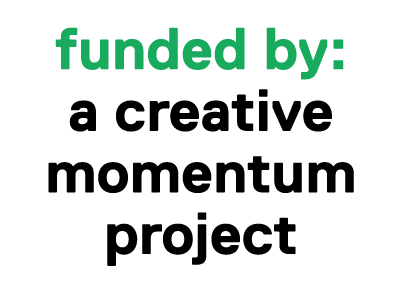 My contribution will be to make this art form more visible in Sweden, teaching its techniques. And also to share the joy that this art form gives”. Petra has recently joined MyCreativeEdge.eu. Check out her Portfolio here.